Skype for Business & Teams for connected communication and advanced collaboration by Exponential-e - Exponential-e Ltd. 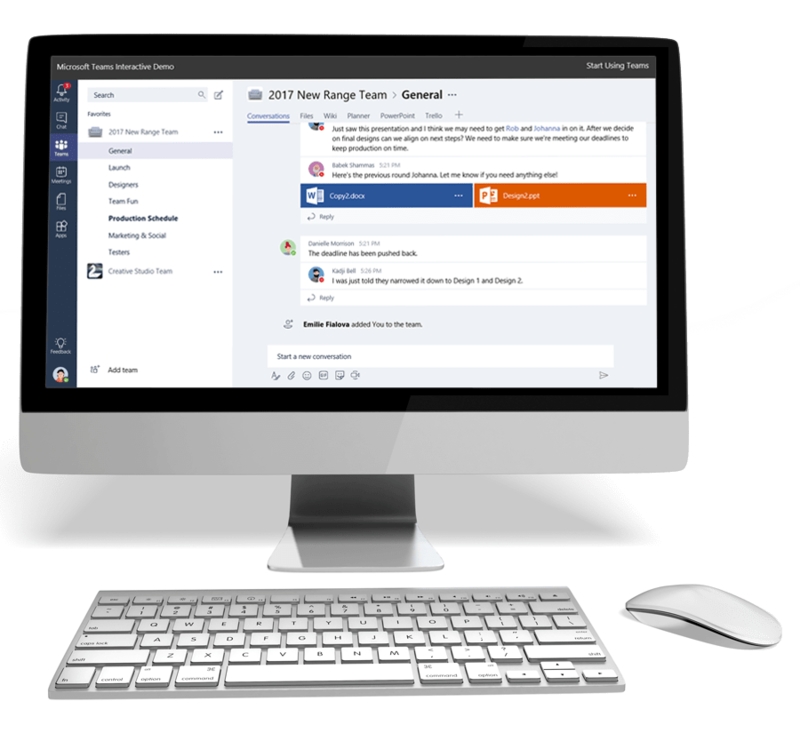 Powerful collaborative communications for a modern enterprise. In today’s platform-driven world, your business must be flexible to survive. Equip your business with the tools to support a highly mobile and geographically dispersed workforce. Draw on a global talent pool and enable the people who work for you to collaborate and create even when they can't get in the same room. Get on board with Skype for Business. Skype for Business (SfB) will extend your communications network, enabling you to engage with colleagues, partners and customers in a single ecosystem. Streamline your communication operations; cut complexity and reduce telephony charges with a single stroke. Leverage your investment in Microsoft: SfB is free for organisations that already have an E3 or E5 license. Quickly set up HD quality meetings with up to 250 people, from any device and location, at any time. Make your meetings truly interactive with collaboration tools such as Whiteboard and screen-sharing. Fully integrated with Office 365: unlock the potential of the Office suite - including: Power BI, Delve analytics and Yammer - and start your journey towards Microsoft Teams. Our solution incorporates additional features and technologies to harness the capabilities of SfB, improving functionality and making it more cost effective. Exponential-e will manage all elements of your migration, ensuring there is minimal business impact as your start your journey into next-generation UC services. Our capabilities ramps up your SfB functionality with Call Recording and Analytics, contact centre capability, voicemail, Skype for mobile and much more. We have the ability to integrate external applications, too, delivering a truly bespoke solution. Combine call recording and powerful analytics with integrated cutting edge A.I. to give your customer-centric organisation a massive competitive advantage. In today’s data-centric world, you want to know your communications platform – and your data - is in safe hands. At Exponential-e, we have an industry-leading 8 ISO accreditations and are fully GDPR compliant. Your SfB solution will sit on our highly secure business-only private Network, with a single end-to-end SLA and protection from our Cyber Security Operations Centre (CSOC). Running your calls exclusively over the internet can impact their quality and increase your costs. Our solution bridges the gap between internet and PSTN to deliver premium-quality calls, with enterprise voice functionality for scale - at a much lower cost. We can deliver your SfB solution over our Network guaranteeing the quality of your calls and the resilience of your service. You’ll have peace of mind under one end-to-end SLA. We pride ourselves on our customer service, and have the industry-leading NPS score to prove it. Our 24 / 7 x 365 helpdesk is highly responsive to all queries, offering the level of support you need, when you need it. Optimise efficiency and control your calls with an intuitive single-screen interface that can be customised to suit your users needs - providing the tools they need to improve your business operations and customer service. You have the power to record, report and transfer calls using a simple drag-and-drop. Access contextual insights concerning the people you’re talking to, including call history, and book appointments with your colleagues using an onscreen calendar – all without leaving one window. Contextual collaboration represents the future of business communications. It is about having the right information appear on-screen based on the conversation that you are having – seamless access to people, resources and knowledge without the need to switch between multiple tools. Microsoft Teams is where contextual collaboration comes to full fruition, enabling you to enjoy the features of advanced virtual collaboration - on one screen. Begin the journey to Teams with Exponential-e and ensure an effortless transition through SfB.